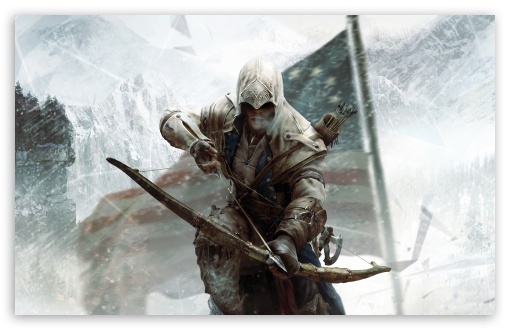 Live through history with Assassin’s Creed 3! The Assassin’s Creed video game series has always been surprising us with up to beat, new gameplays that brings users to play as Master Assassins as they battle The Templars to protect what is dear to them, the prevention of The Templars to control humanity and alter their fate. Assassin’s Creed 3, the fifth game in this series, sees itself set in a more current setting, America. The game focuses on Desmond, using the Animus to relive his ancestor’s memories but this time, as Connor, a Native American Assassin while in the present day trying to prevent the 2012 Apocalypse. Gameplay has been revamped with newly added weapons like muskets and also a better ‘free-running’ system which gives the game a more Parkour feel to it as you play through Colonial America, as well as iconic moves such as the “Leap of Faith”. Players can experience live through the American Revolution and going to places such as Boston, Philadelphia and even New York! What’s new about Assassin’s Creed 3, is the all new Naval Gameplay that allows the player to go on naval expeditions, captaining your own Warship; The Aquila. Side missions are available for the player to embark on and also a treasure hunt for Captain Kidd’s treasure! Below is the Naval Trailer for Assassin’s Creed 3! Hope that all of this is able to entice you to get a copy of Assassin’s Creed 3 today. I’ve got mine, so what are you waiting for? Go get it and get Pwning!